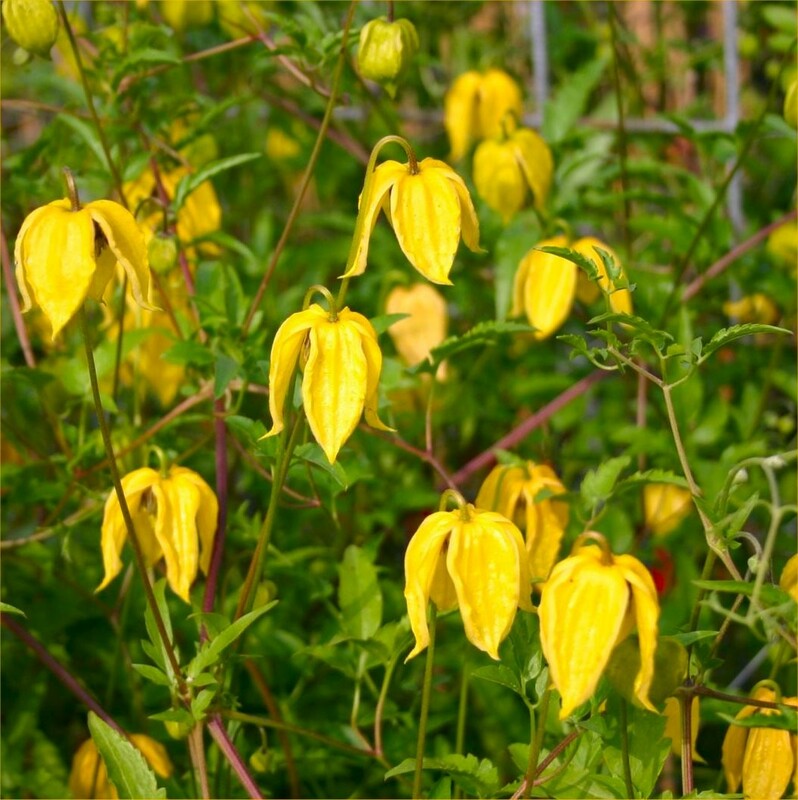 The most impressive form of tangutica Clematis available with bright yellow nodding lantern-shaped flowers that have a coconut-like perfume. These are followed by attractive silky seedheads. 'Lambton Park' has an exceptionally long season, the first flowers opening in late May or early June and going on well into the autumn. 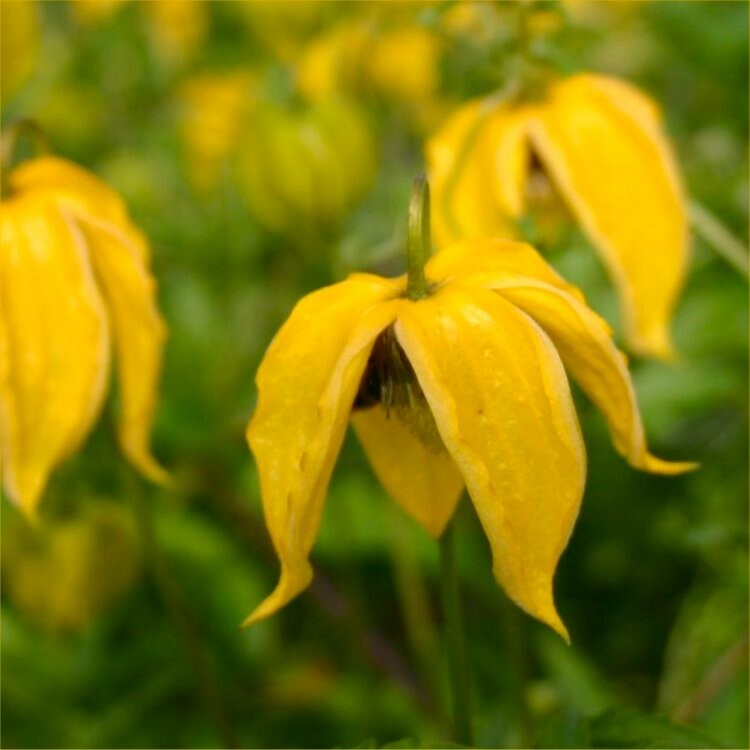 They are also the largest flowered form of tangutica Clematis there is. The seedheads last very well giving a plant of year-round interest. Supplied in approx 2-3 litre containers.